This is news fresh from BACK-ON‘s official Twitter so this will be a short post! 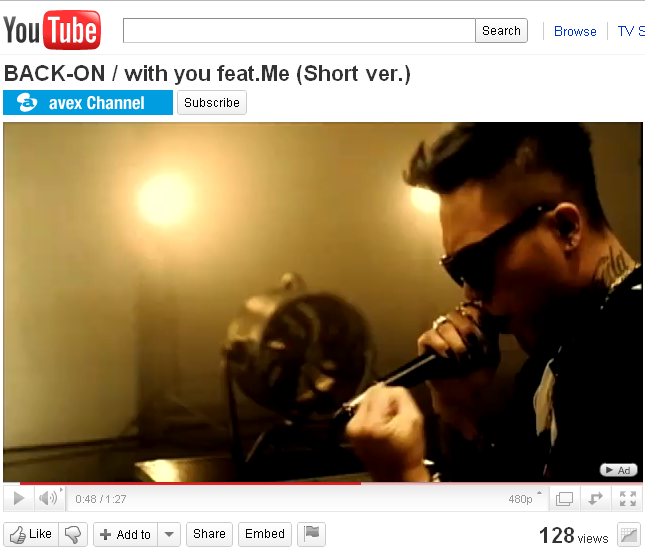 You can now watch the short version of the PV (all 1:27 of it) for with you feat.Me on Youtube! Click on the picture below to watch it! I only wish the clip was longer but we can safely say that the rumours that misono is Me were true! Definitely a bit of the Crazy Town sound imho during TEEDA‘s rap bridge, but the chorus brightens up again with more misono and KENJI03. I personally can’t wait to get my hands on the lyrics!